“Be careful what you wish for.” Anyone doubting the truth behind that well known adage would do well to pay attention to Earth-45. During a trip to far-off Tibet with friends Lois Lane and Jimmy Olsen, the mild mannered Clark Kent developed an idea for a machine that could bring to life anything the user could imagine. 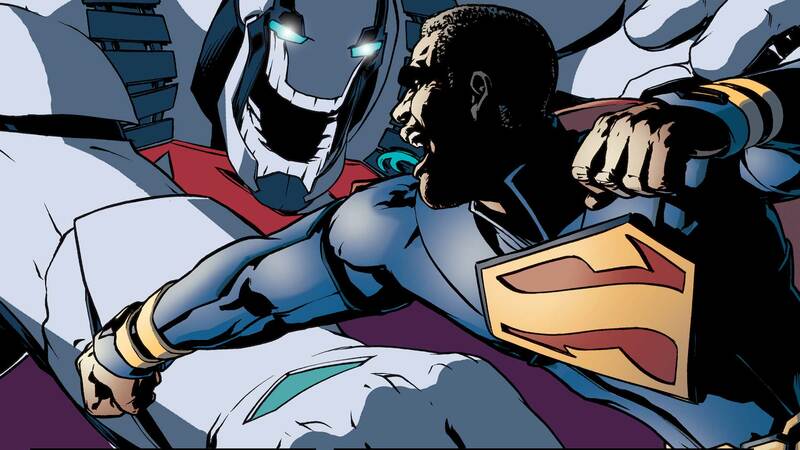 The problem was that the only way to realize a project on the scale of this reality-bending device was to get financial backing from the greedy Overcorp, which proceeded to use the machine to create the evil entity known as “Superdoomsday.” (Think Doomsday plus Superman, but backed by the world’s biggest corporation.) Superdoomsday proceeded to wreak havoc across the Multiverse before his eventual defeat at the combined hands of the Supermen from Earth-0 and Earth-23. Nevertheless, the creation of Superdoomsday was devastating for Earth-45, as the entire planet gradually succumbed to the allure of corporate control, eventually devolving into a fascist reflection of the will of Overcorp and Superdoomsday himself. Today, the Superdoomsday logo and likeness cover just about every available surface on the planet.